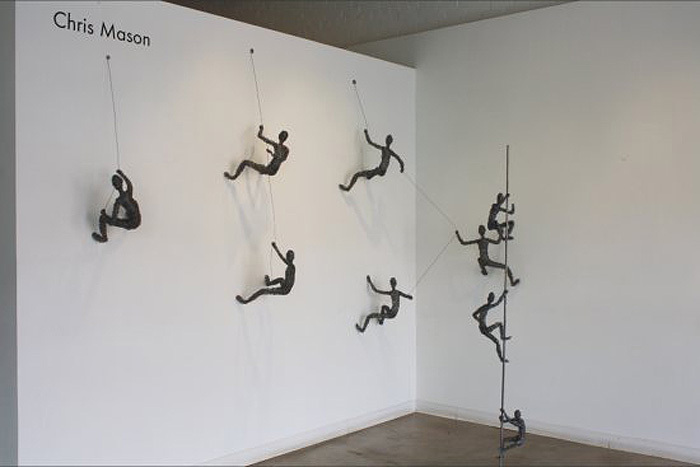 Originally from New York, but now living in California, artist Chris Mason started as a muralist before he began working extensively with wire. As a sculptor, Mason attributes the two biggest influences on his work to High Renaissance Figurative Art and comic books. 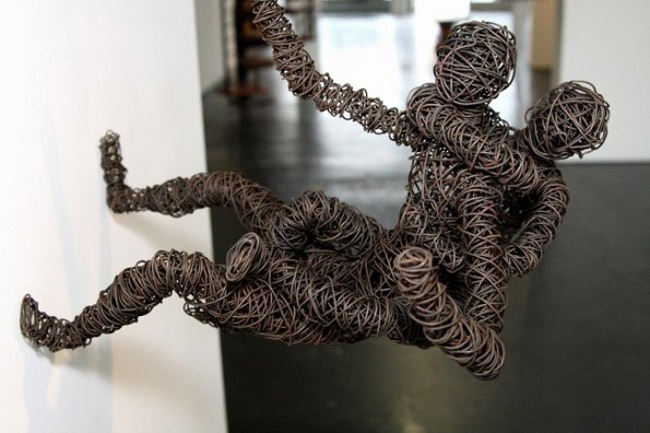 The latter might explain the Spiderman quality to his climbing wire sculptures. 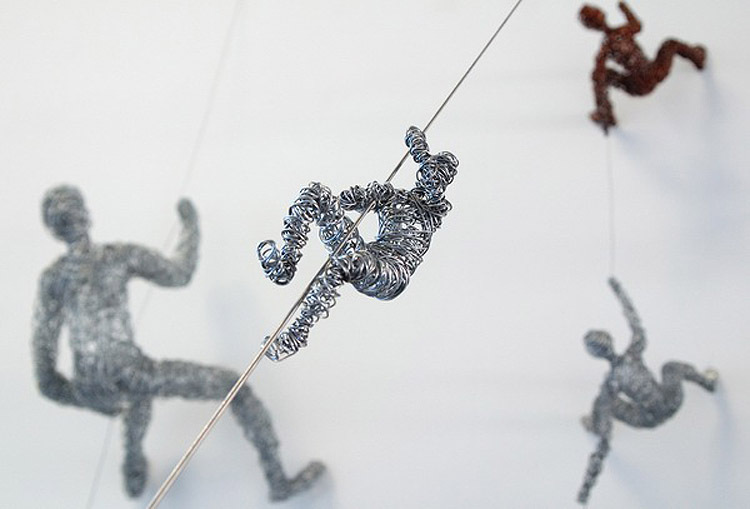 Mason has humorously titled his wired sculpture series as Social Climbing and Rewired. I think walking into a gallery filled with these little guys would be a fun experience.